WHAT IS THE NATIONAL MEMORIAL DAY ASSOCIATION OF GEORGIA? The purpose--the sole purpose--of our Association is to honor our Veterans, both past and present and to remember those who have made the ultimate sacrifice for our country. We do this through a ceremony held every Memorial Day, as we have done for the past 72 years. ​The Officers and Board of the NMDA, along with our Patron Members and Member Organizations, encourage you to attend this ceremony honoring our Veterans and hope you find the experience uplifting and meaningful. And by joining and supporting the NMDA, you will help assure that this particular ceremony will continue for the years ahead and for generations to come. 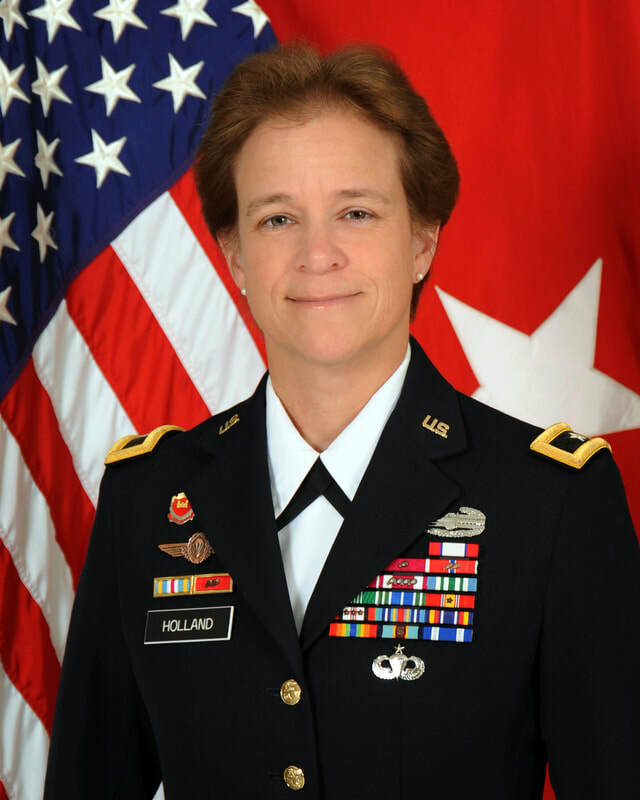 Brigadier General Diana M. Holland assumed command of the U.S. Army Corps of Engineers, South Atlantic Division on July 18, 2017. During her command, Brig. Gen. Holland led the South Atlantic Division’s response to Hurricanes Irma and Maria in 2017 and Hurricanes Florence and Michael in 2018. Brig. Gen. Holland’s military awards and decorations include the Distinguished Service Medal, Legion of Merit (with Oak Leaf Cluster), Bronze Star (with two Oak Leaf Clusters), the Defense Meritorious Service Medal, the Meritorious Service Medal (with four Oak Leaf Clusters), the Combat Action Badge, the Senior Parachutist Badge, the German Parachutist Badge and the Silver Order of the de Fleury Medal. She was also recently honored as a 2018 Women Making a Mark Honoree by Atlanta Magazine. The origins of GVVA go back to 1985 when several veterans began to meet on a monthly basis. It was not long before they discovered that not only did they have a social club, but that not all veterans were coping in the mainstream of the community. They started helping the less fortunate and began fund raising efforts when the need quickly outpaced their personal capability. The bulk of the resources go to assisting veterans who are in transition due to unemployment or disabilities, providing a safety net until they are back on their feet. They also act as a liaison between the Veteran the the Department of Labor and the Veteran's Administration, as well as providing a scholarship program for Veterans and their immediate families.